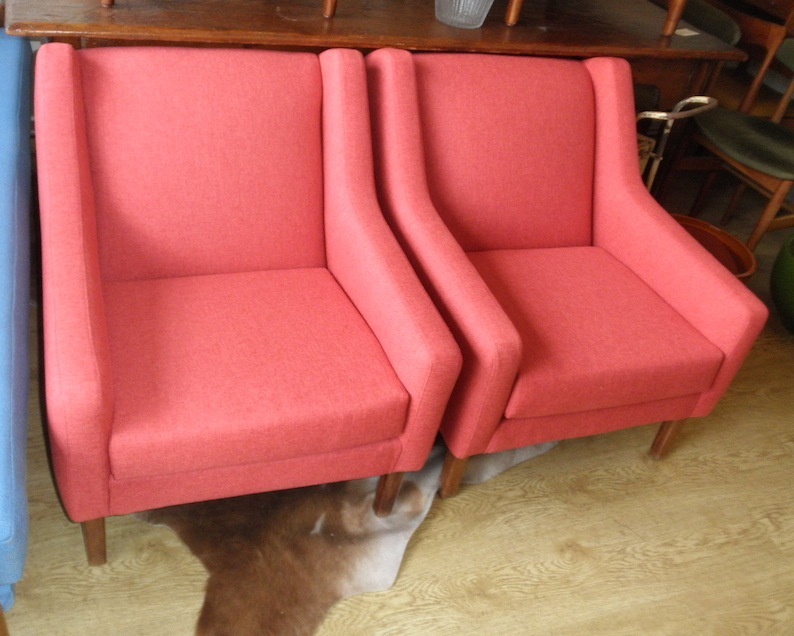 This stunning pair of lounge chairs look amazing in this deep lipstick red textured fabric and will add some winter warmth to your space. Dario Zoureff was a post war Melbourne based designer craftsman creating amazing bespoke interiors for the wealthy folks of the inner South East of Melbourne. 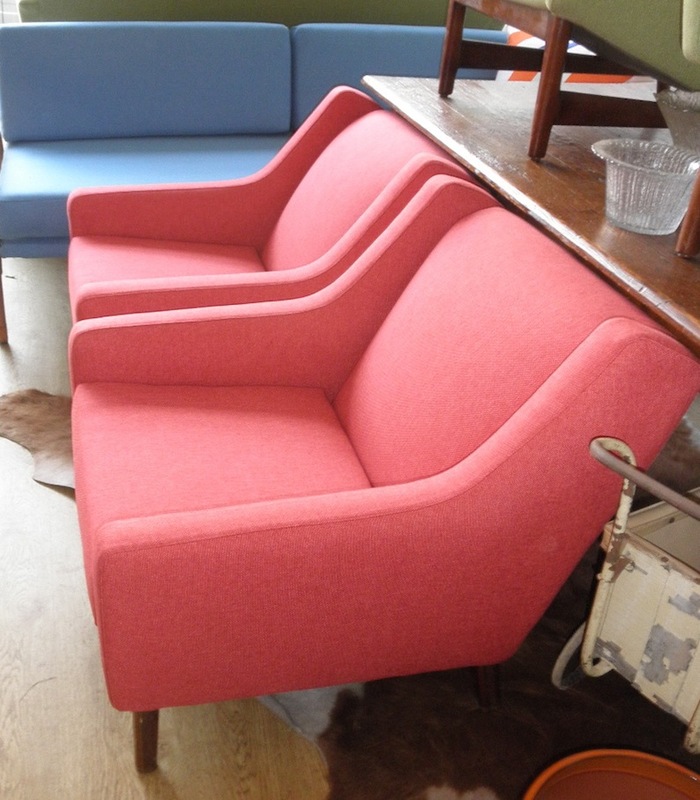 This pair has a great line and proportion just the right size for comfort but no to big that they dominate. 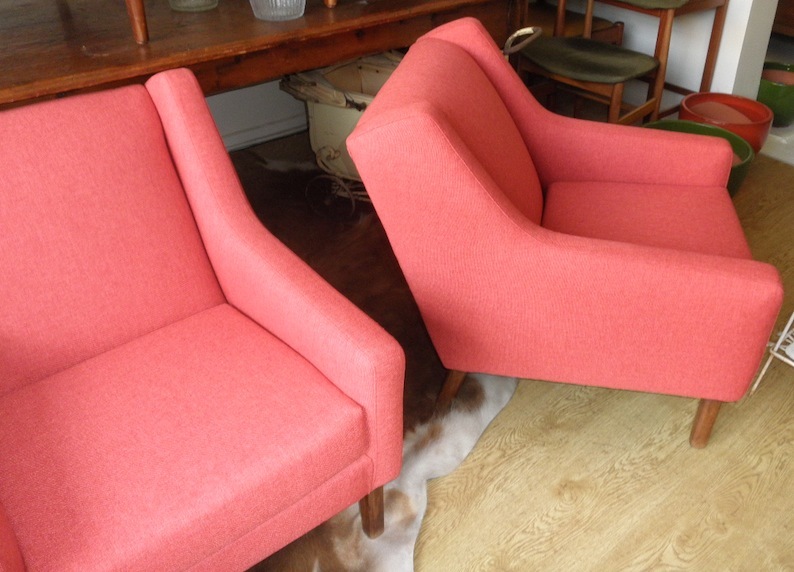 They have been fully reupholstered so these chairs will last a life time and are ready to use and enjoy.